Frame Repair In Northern Ak? Worth It? 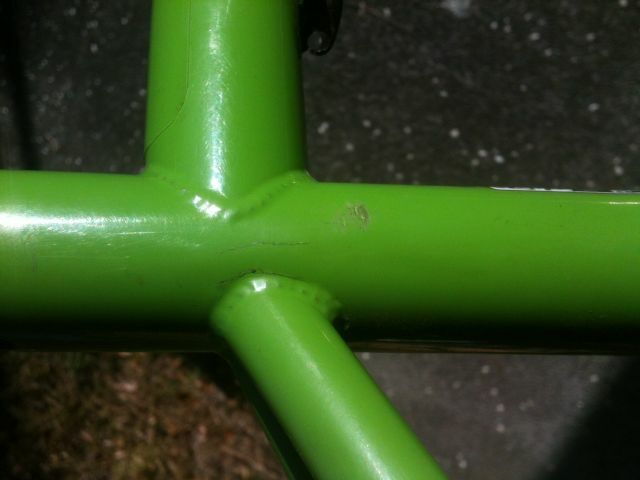 Any opinions as to whether having these cracks in the seat tupe welded is worthwhile? Frame is a Ragley Piglet. I am not sure but due to the extended seat tube above the toptube of the frame, the minimum insert of the seatpost may have been too high relative to seatstay junction. Re: Frame Repair In Northern Ak? Worth It? 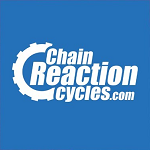 Min insert is safe for the post, but insertion below the top tube/seat tube junctions is safe for the frame. That vertical crack in the seat tube is unusual, I guess it shows that the seat stay was able to flex the seat tube. That could only happen if the post is not inserted to below the bottom of the top tube, or if the post was too narrow. It might be that your post is effectively shorter than a ruler would suggest because of a subtle taper at the bottom. I have Kalloy post with a 30mm taper on the base, it is dated 03.08. You can't see the taper but rocking a straightedge against it makes it obvious. The diameter is reduced by about 0.3mm at the bottom. Since your post is so long and it is a MTB I would be inclined to insert it further, and to below the zone weakened by the weld. If it were a dropped seatstay design with the stays meeting the back wall of the seat tube like that the post would need to extend down enough to support the seatstays. "The truth will set you free. But first, it will piss you off. - Gloria Steinem"